We held a workshop called “Smart Dance” here in Bremen together with a dancer. 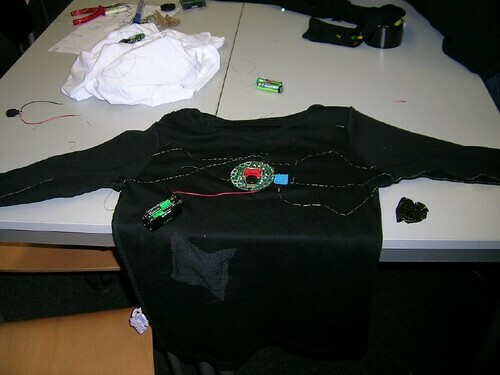 The children were making shirts, studied a dance and controlled the stage with sensors and actuators. Here some photos from the making process. 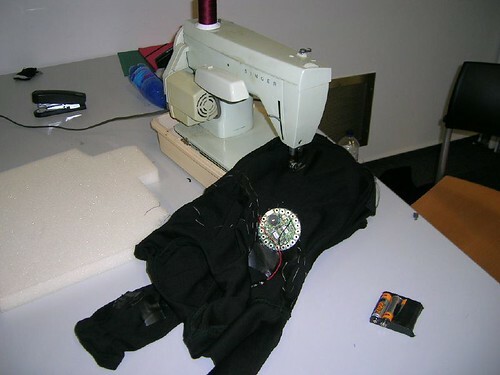 We used a sewign machine in the workshop and worked with Bling Cricket from Fred Martin. It is availible as prototype only but hopefully it will be on the market soon.